My current idée fixe is watercolor. There is something about the soft colors and subtle shading that is extremely appealing to me at the moment. That said, I’m not very good at it. I think it’s partially a lack of research on technique and the proper tools for what I want to do, and partially that I just need to practice. I purchased some Akashiya Sai watercolor markers after watching a video from Kristina Werner during which she uses the markers to watercolor a darling little momma bear and baby bear. What I did not realize was that the colors of the marker set I ordered were very vivid and bright. After playing with them, I found that I was after a much more subtle color-washed look, as opposed to deep, vivid colors. This card was one of my first attempts. It’s not exactly the idea I had in my head, but it was good enough that I thought I’d make a card out of it. 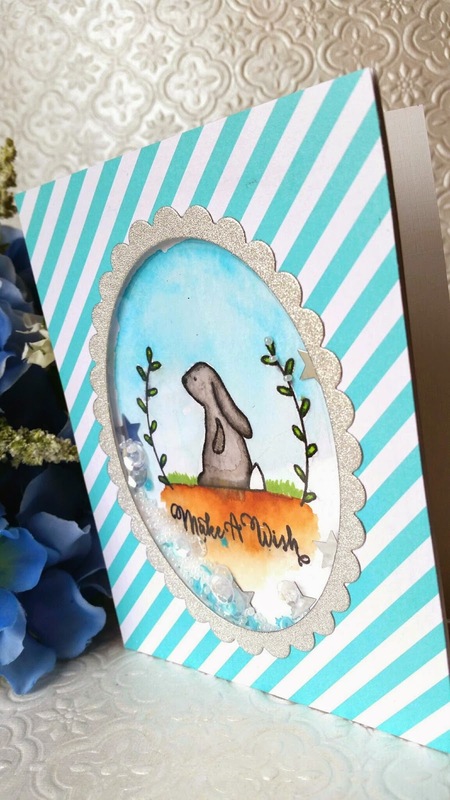 The stamps are Storybook by Avery Elle. 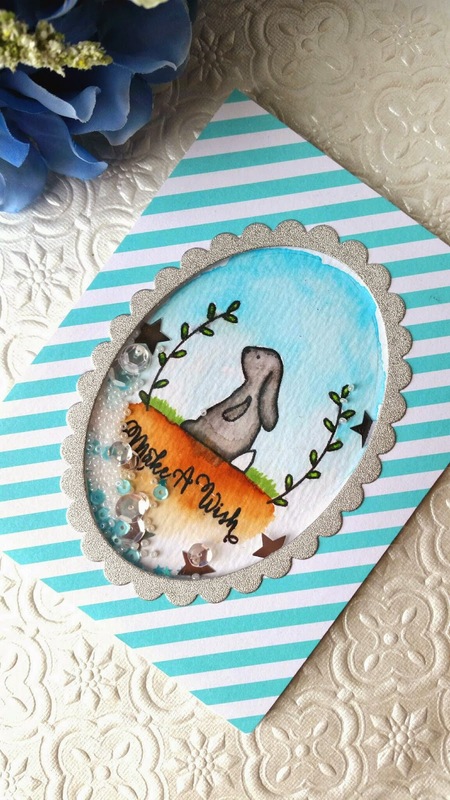 Patterned paper is from Teresa Collins. 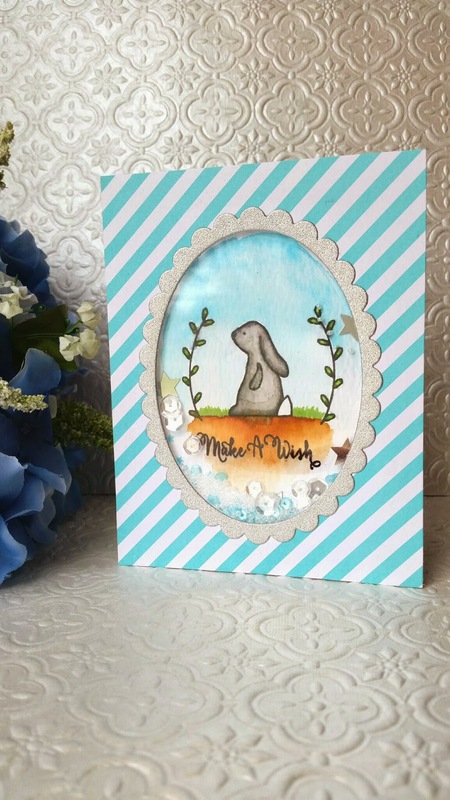 I have ordered some Distress Markers, and I think I will attempt to recreate this card in much more subtle colors after a bit od practice. Thanks for dropping in, friends! I’d love it if you became a subscriber and/or followed me on Instagram. My name is eamidgett.